If you are looking for a space efficient rack for storing your weights then look no further than this 10 pair vertical dumbbell rack. Sturdy and practical, it will hold up to 10 pairs in very little space. It is ideal for any home or commercial gym that wants to save floor space. The rack itself measures 1340mm in height, 520mm in width and 220mm in depth, making it incredibly compact and comes in an attractive carbon silver paint finish. This vertical dumbbell rack is designed to store 10 pairs of TuffTech Rubber, PU or Chrome dumbbells up to a maximum of 12.5kg only. It will hold other makes of dumbbells as long as they have a standrad chrome fixed handle. 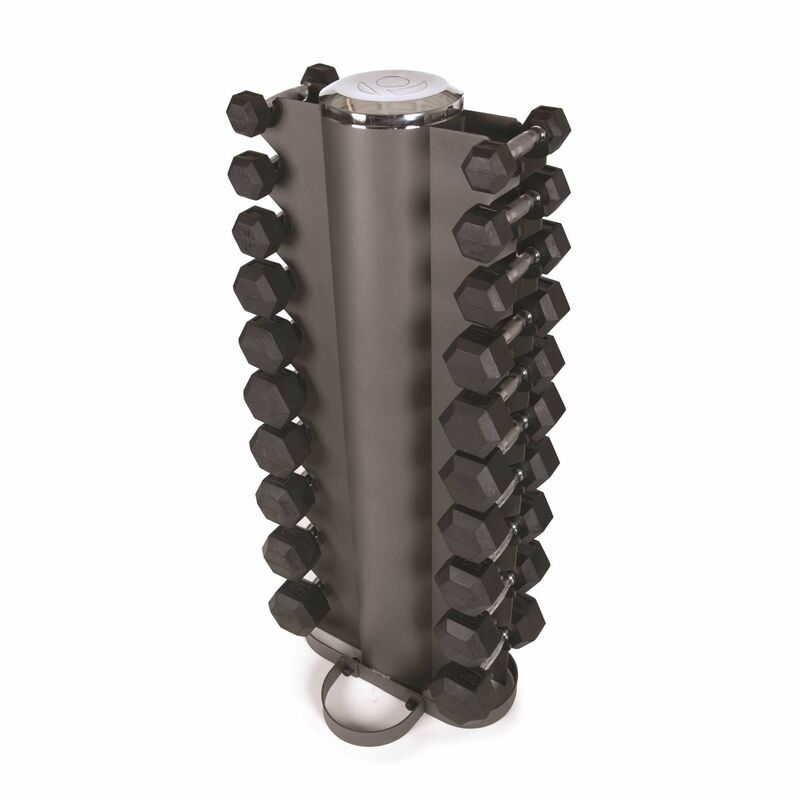 Feel free to call us if you want to check that your existing dumbbells will fit. 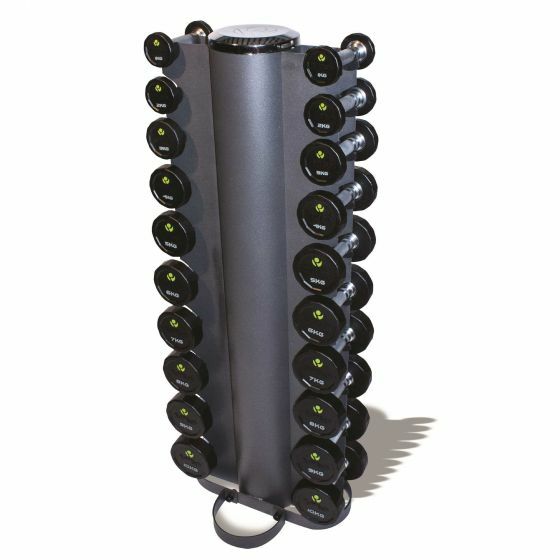 This upright dumbbell rack manufactured by the Physical Company is suitable for home and commercial use and will hold up to 10 pairs of dumbbells from 1kg to a maximum of 12.5kg. It will perfectly in a corner and saves a huge amount of space compared to horizontal racks. The rack is designed to hold the Physical Company TuffTech range of dumbbells but will also hold Jordan Rubber dumbbells as well. Contact us if you require any further information. Suitable for TuffTech Rubber, PU or Chrome dumbbells 1kg - 12.5kg.